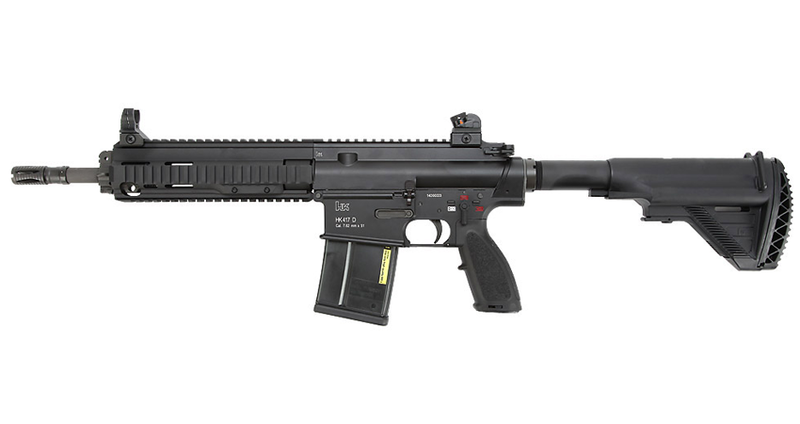 Umarex GBB HK417 licensed by the German arms maker, Heckler and Koch, real steel markings. It is a modified version of the American M4 carbine with many changes. 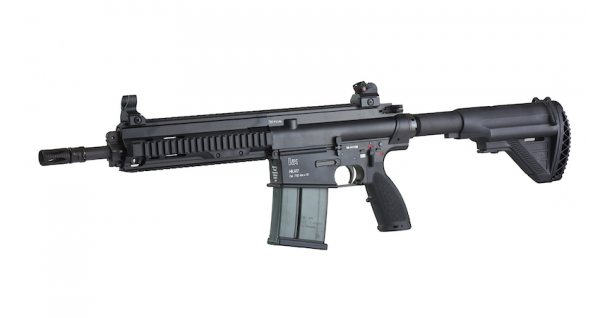 On the real steel, most notably a new gas operating system from the Heckler & Koch G36. 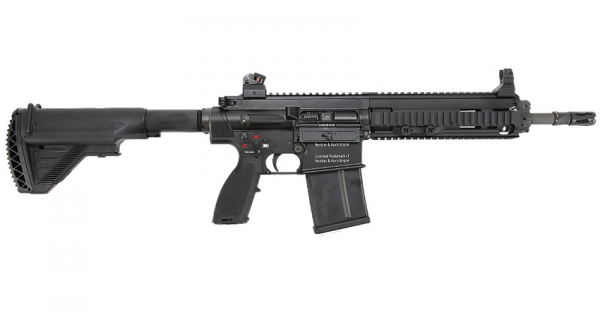 Customers have the option of purchasing a new upper receiver, buffer and drive spring to refurbish M4s or buying a completely new and complete HK476. This is one of the most amazing gas blowback rifles in Airsoft with an amazing recoil and sound that is music to any shooter’s ear. Huge magazine means there is enough gas to propel the bolt strongly backward on each shot.